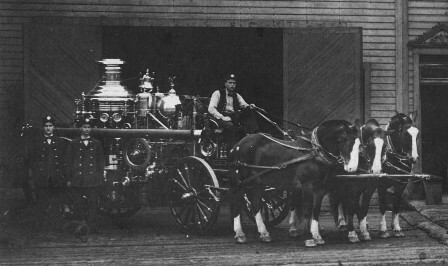 Fireboat "Snoqualmie" Engine room of fireboat "Duwamish"
On this page, we will attempt to chronicle the history of the fire stations and apparatus of the Seattle Fire Department, beginning with the "volunteer" department, progressing through the establishment of the "paid" department in 1889, continuing through the horse-drawn era and onto the motorized apparatus, eventually ending with the newest rig on the SFD roster. 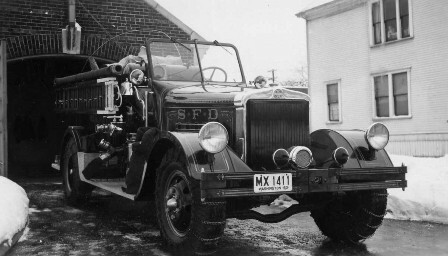 The LAST RESORT FIRE DEPARTMENT is in possession of hundreds of photographs, documents, and historical data that we've collected and preserved over the last 50-plus years, which we hope to include on this page. 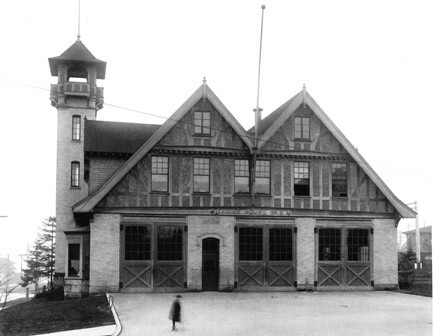 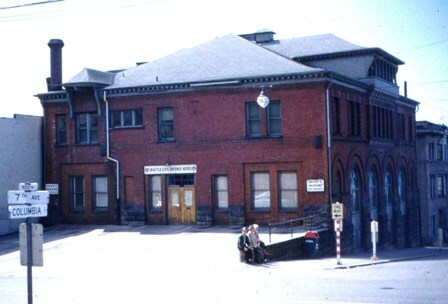 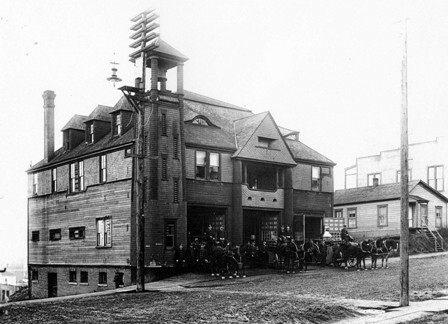 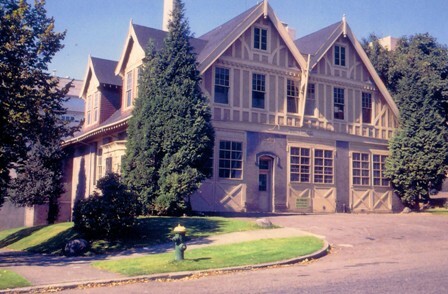 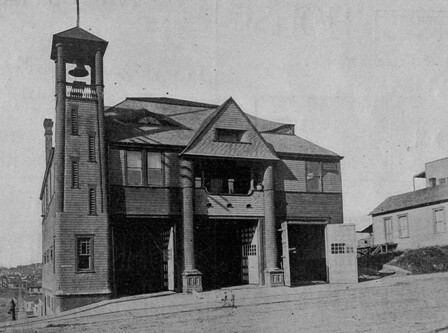 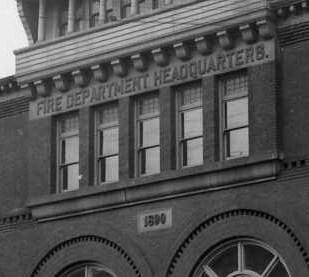 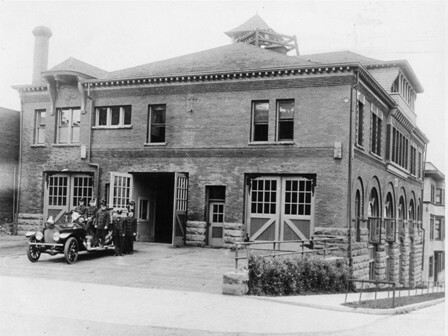 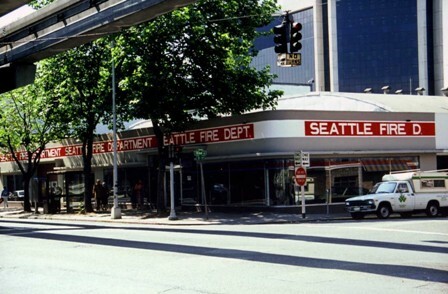 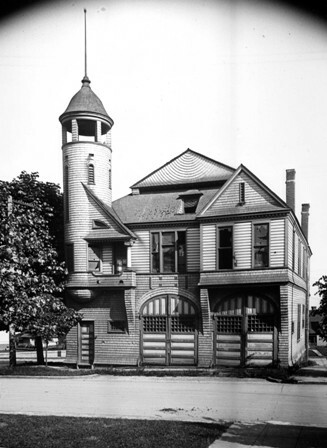 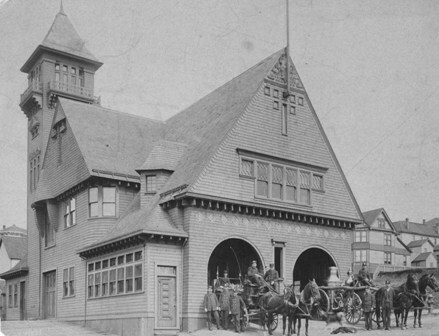 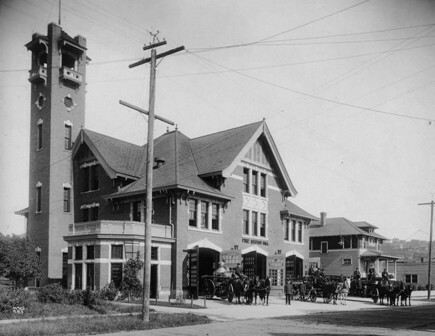 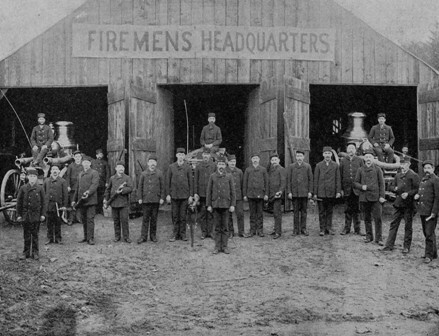 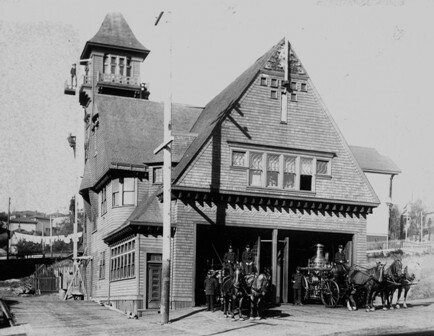 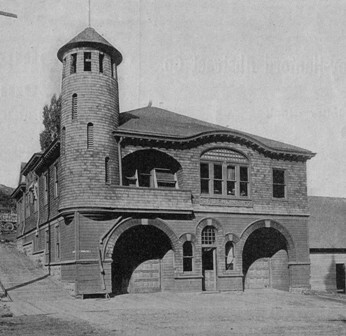 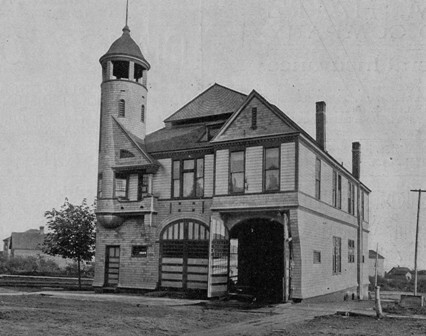 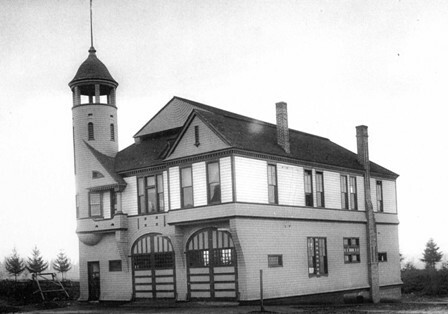 With the possible exception of some temporary structures in the early days, our plan is to include photographs of every fire station that has existed in the city of Seattle, with accompanying street locations, in-service dates, and any noteworthy data. 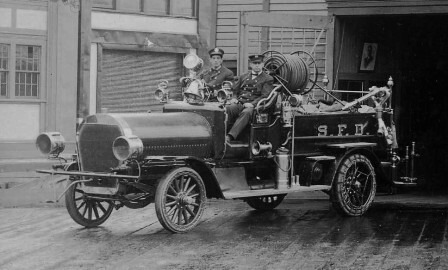 We also intend to include photos of every piece of fire apparatus the S.F.D. 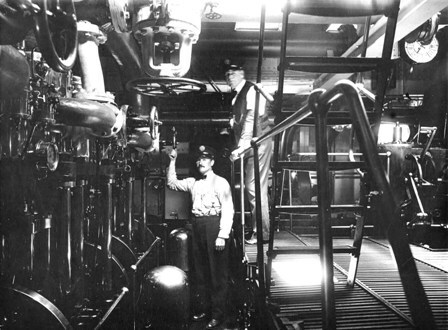 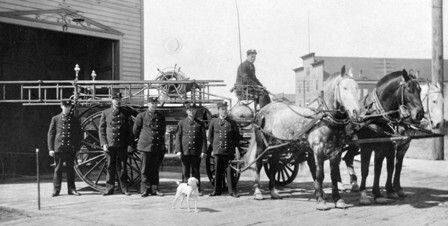 has had on its roster from the beginning of the "paid" department in 1889, to the present, including pre-1889 volunteer equipment, and apparatus acquired through annexations, with appropriate captions for each photo. 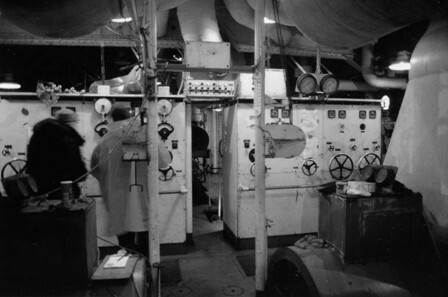 For those rigs and stations that underwent major modifications, we will attempt to include photos of each configuration. 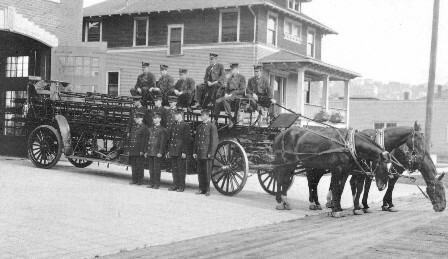 In addition to the dozens of motorized apparatus the SFD has purchased since 1910, we will attempt to include all 19 horse-drawn steamers, the 3 chemical wagons, the 9 ladder trucks, and hopefully, the 35 horse-drawn hose wagons . 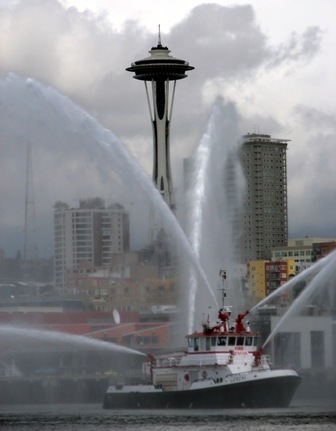 . . and the water tower, the chief's buggies, and all the fireboats. 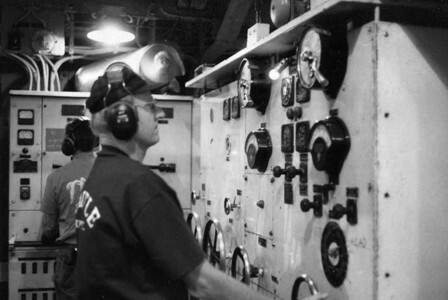 Developing this page will be a huge job, and we will work on the project as time allows. 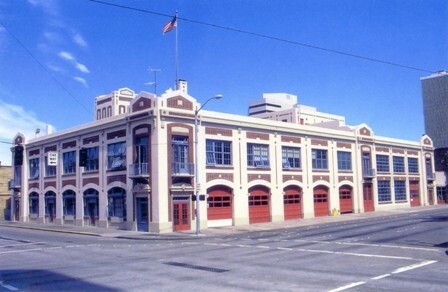 We suggest you check this page from time to time to see our progress. 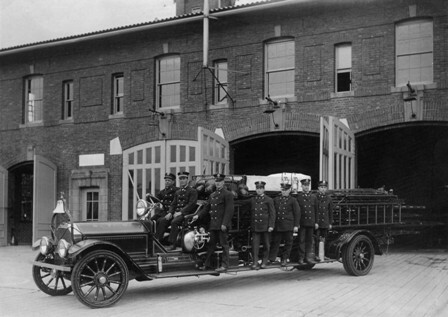 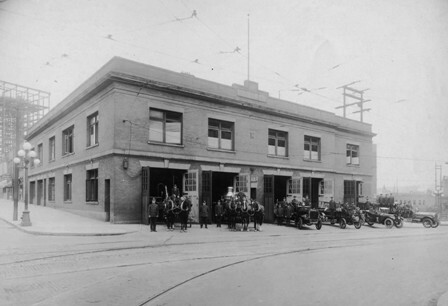 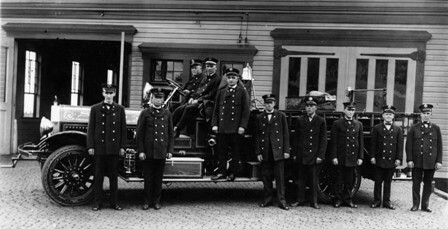 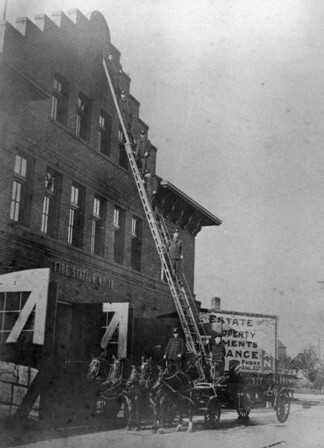 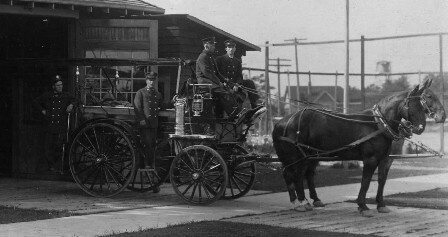 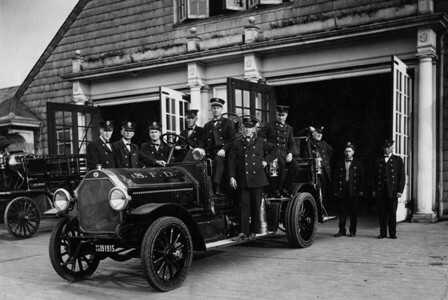 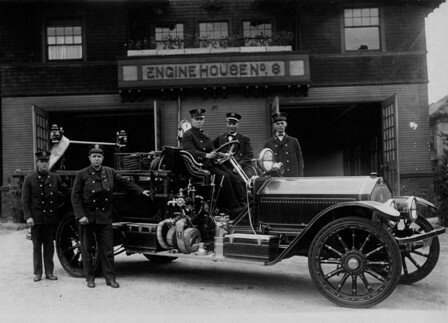 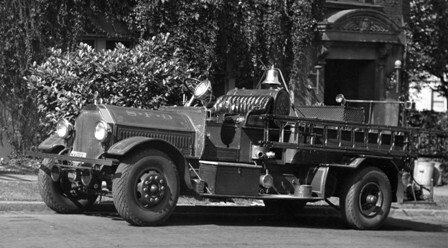 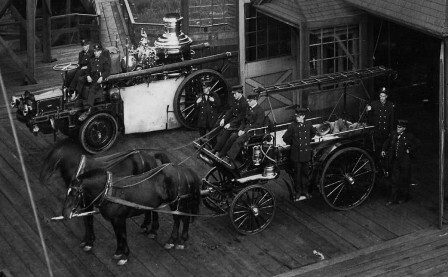 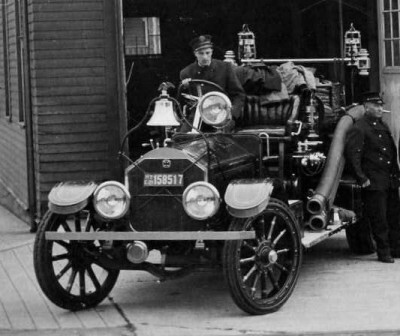 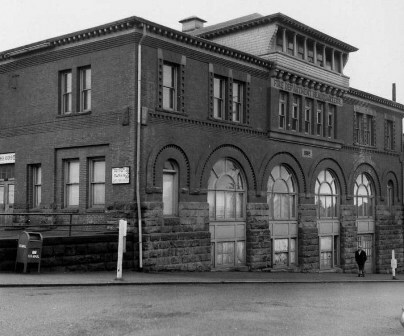 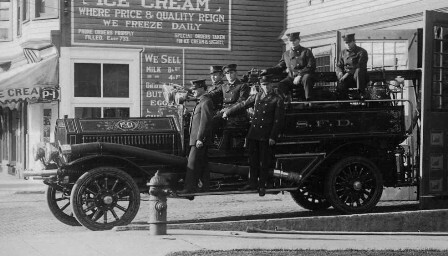 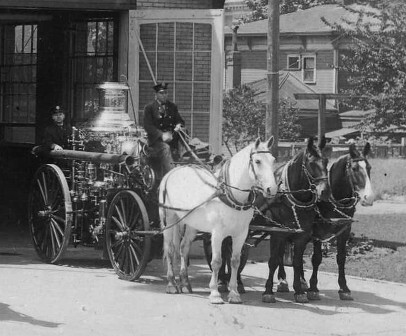 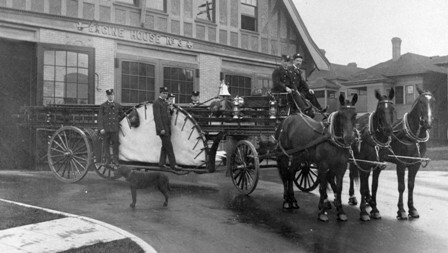 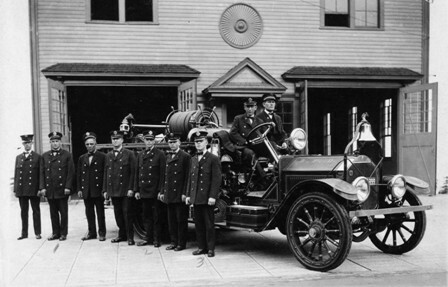 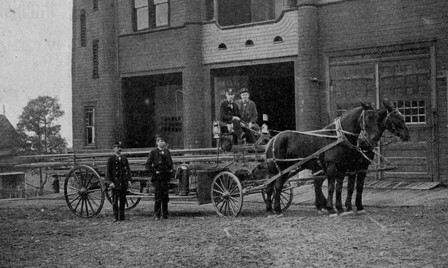 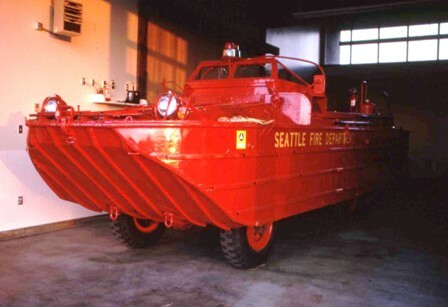 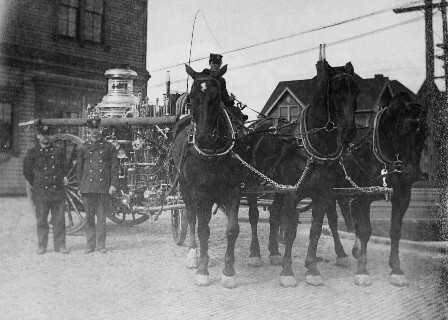 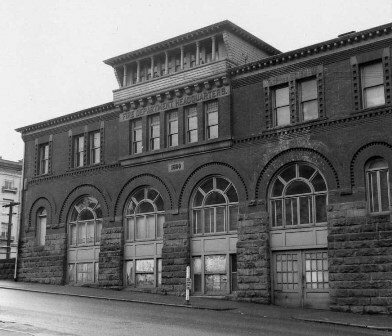 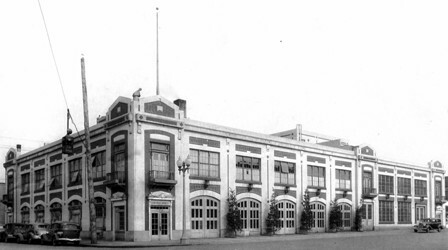 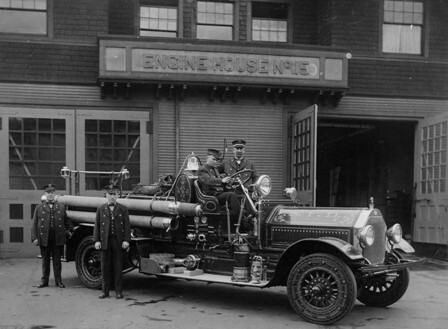 The photos below are a "sampling" of what we hope will be a comprehensive photographic history of Seattle Fire Department stations and apparatus. 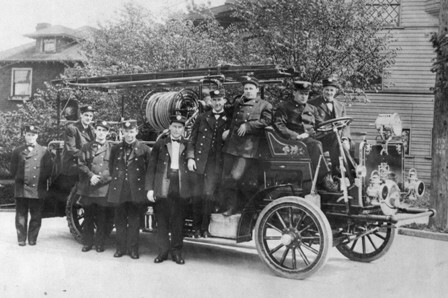 All photos on this page, and on this website are the property of the LAST RESORT FIRE DEPARTMENT, unless otherwise noted. 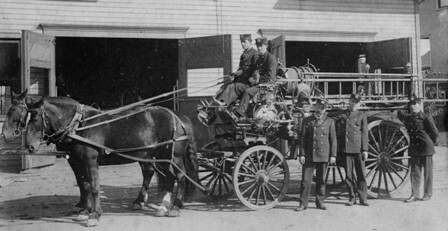 Photos and information contained on this website may not be reproduced in any form without express permission from the LAST RESORT FIRE DEPARTMENT or the owner of the photo as listed in the photo credits. 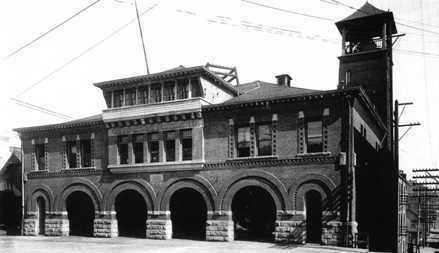 continuing with the "fire stations" and "motorized" sections soon. 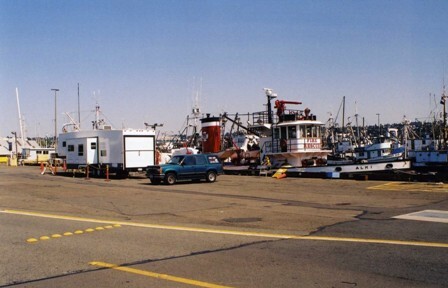 It's a large page, so it may take a few moments for all the photos to "load". 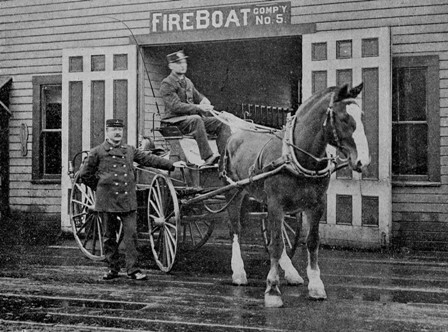 six months after "Great Seattle Fire"
NOTE: This facility housed the Fireboats "Duwamish" and "Alki"
Very little documentation exists regarding the Seattle Fire Department horse-drawn hose wagons. 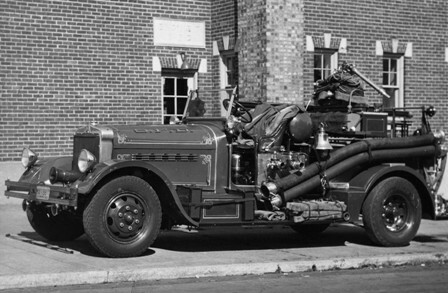 With few exceptions, records we have researched do not reveal definitive years, makes, vehicle numbering or company assignments. 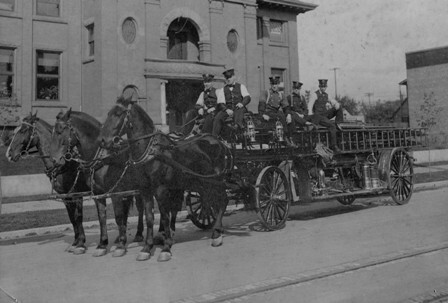 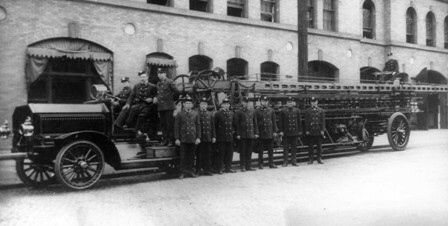 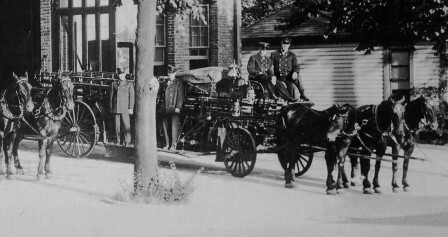 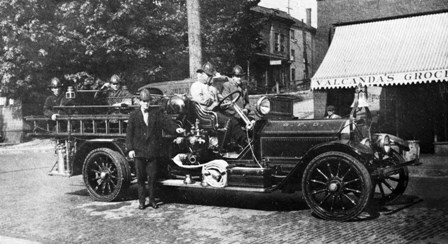 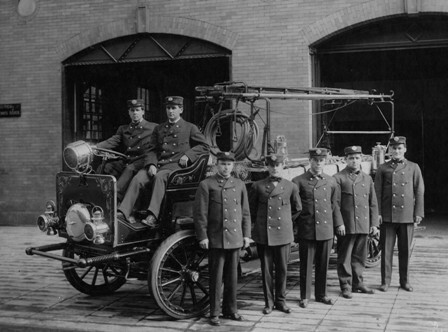 We do know there were at least 35 wagons on the SFD roster between 1889 and 1924. 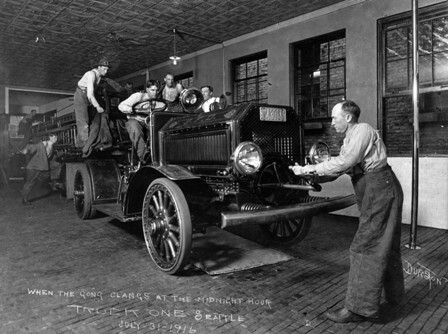 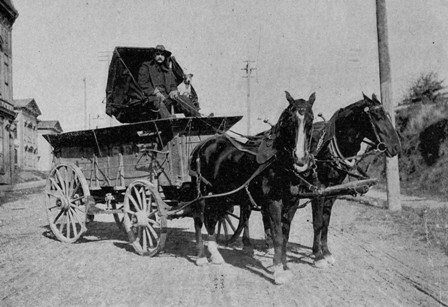 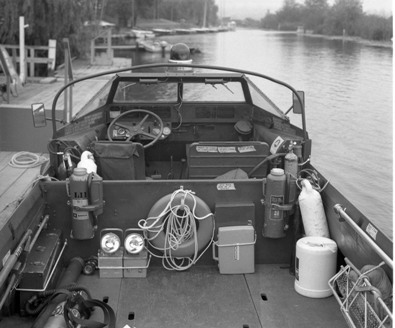 The wagons were built by various manufacturers, such as McDonald, Beattie, Marco, Fire Extinguisher Company, Pacific-Mix, Washington Rubber Company, Robinson and Seagrave. 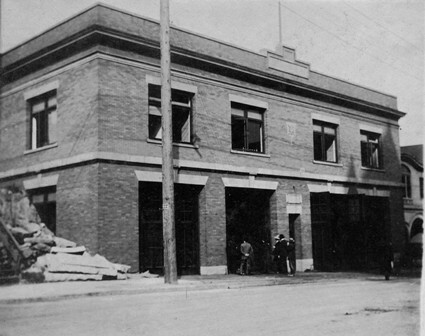 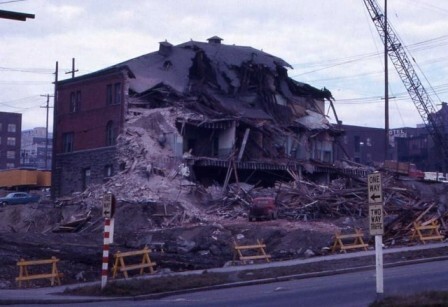 At least ten were built in the city shops. 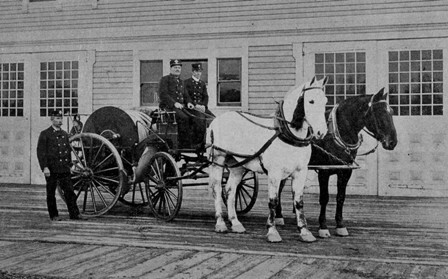 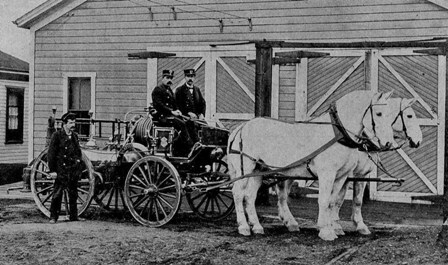 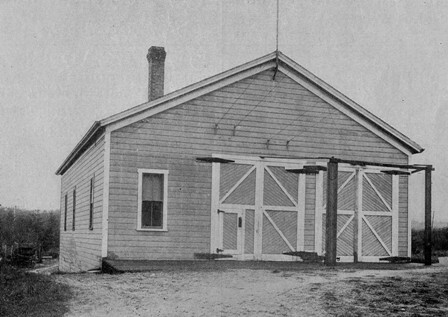 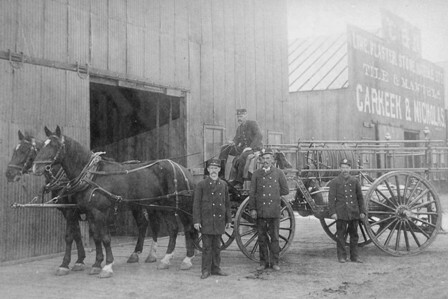 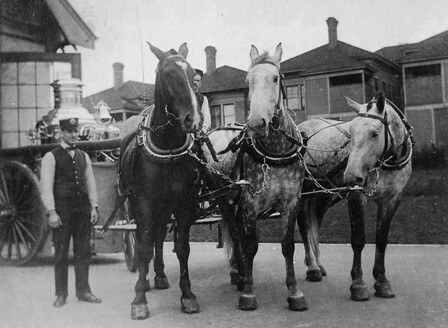 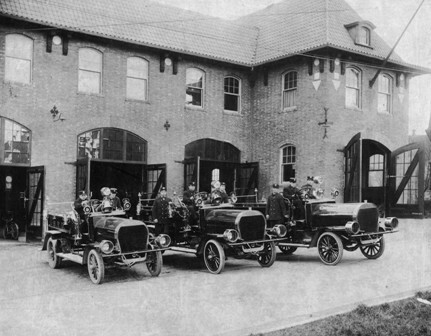 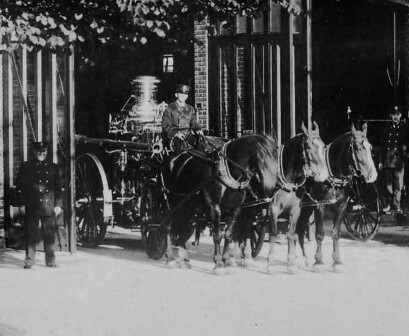 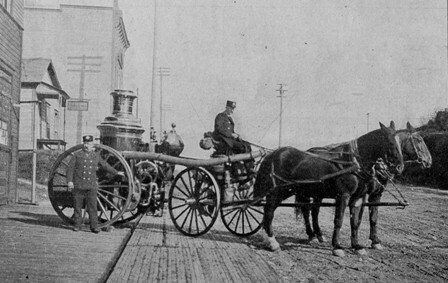 In addition, several "hose carriages" were acquired by the department through annexations. 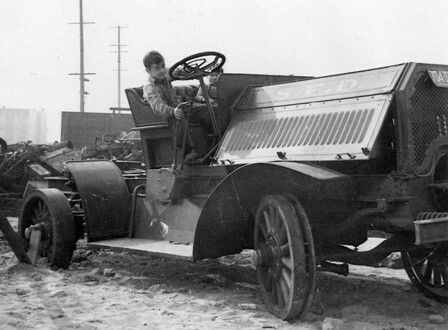 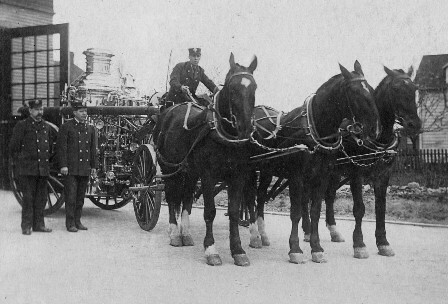 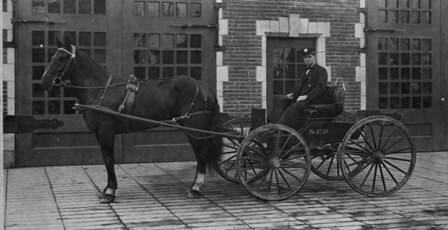 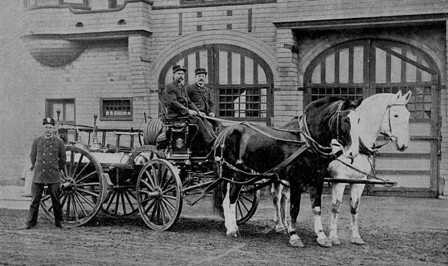 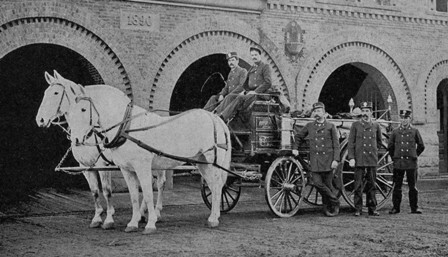 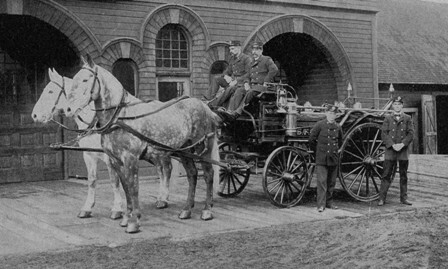 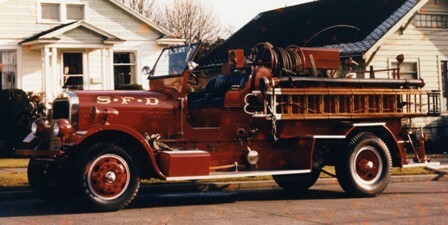 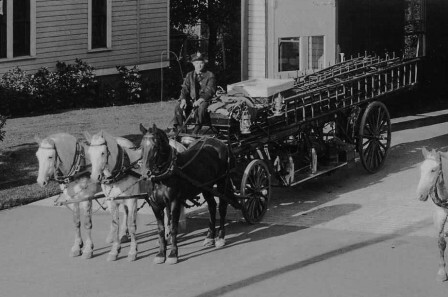 Some of these were used for a short period of time, but because of their limited hose carrying capabilities and lack of storage space for equipment, they were eventually replaced with regular hose wagons. 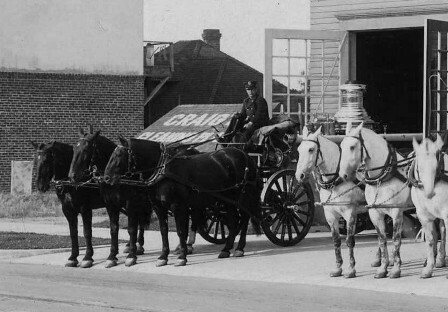 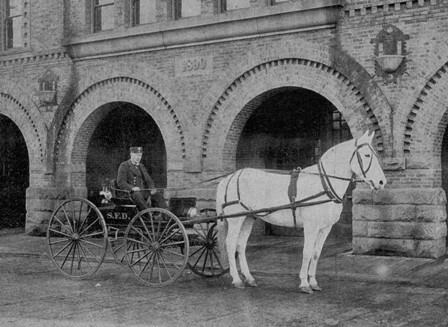 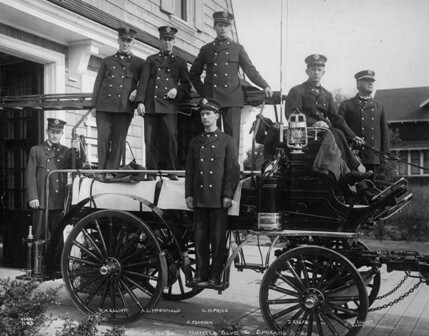 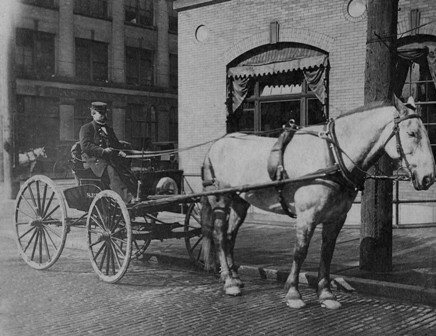 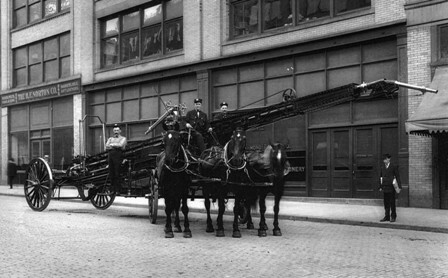 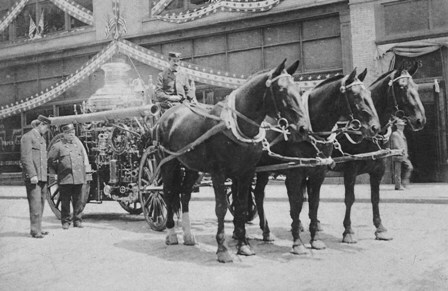 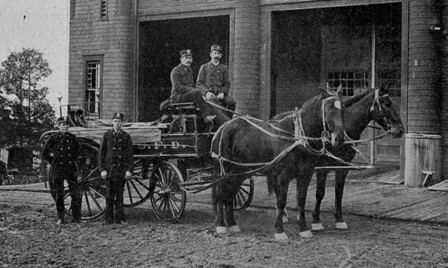 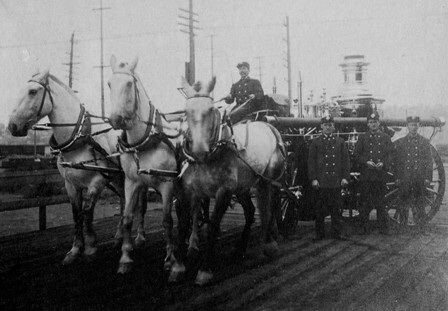 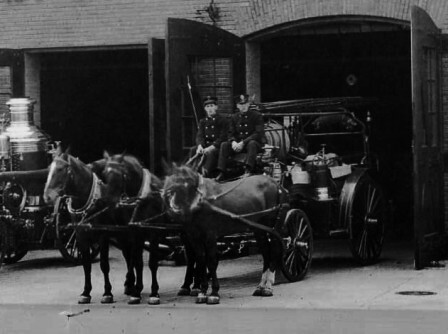 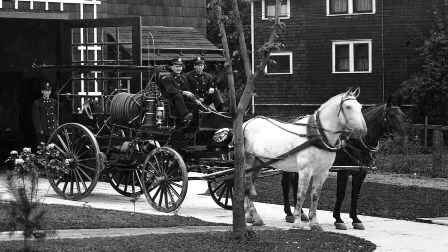 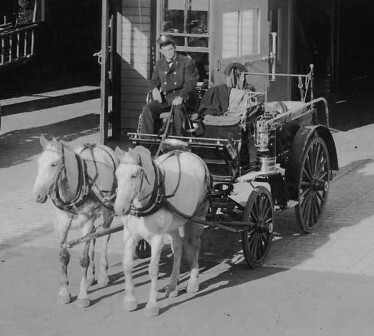 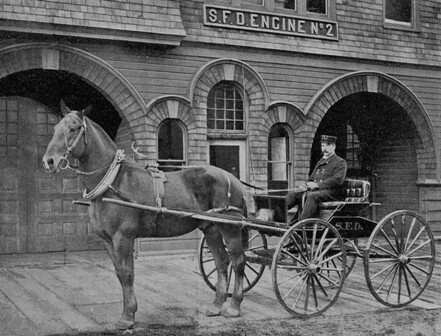 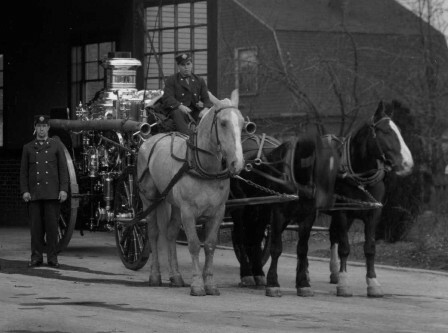 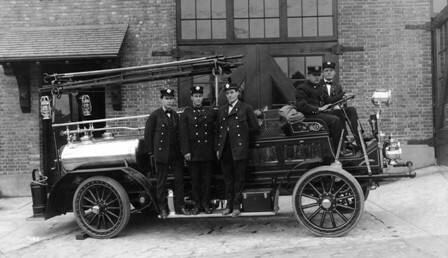 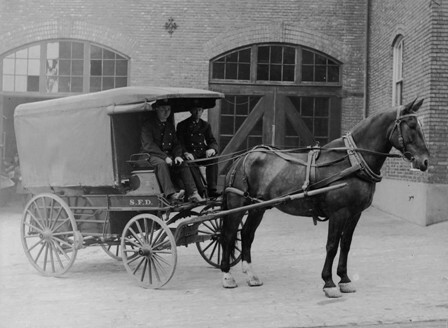 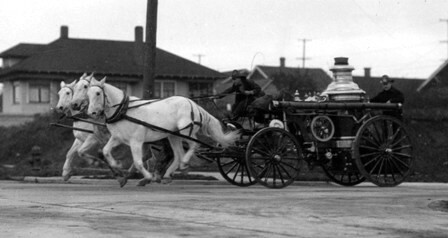 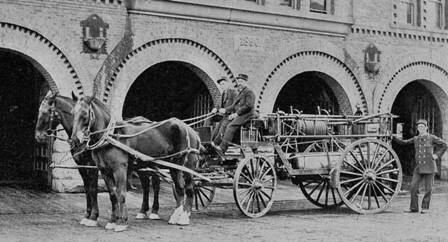 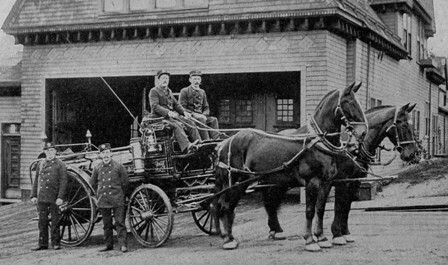 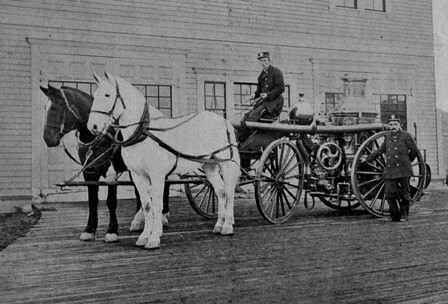 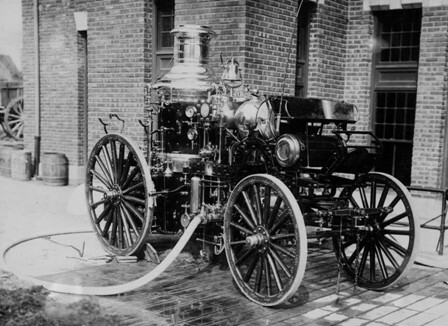 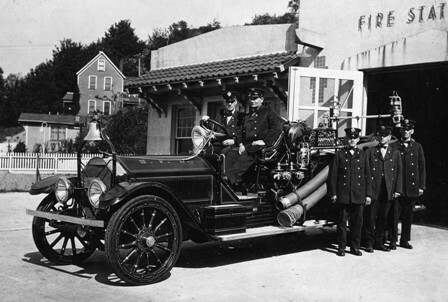 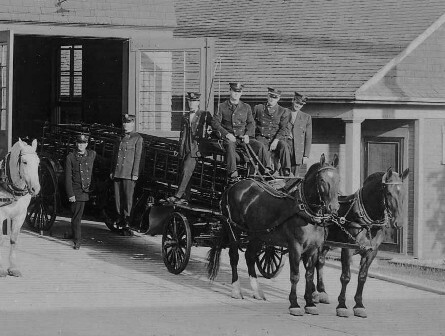 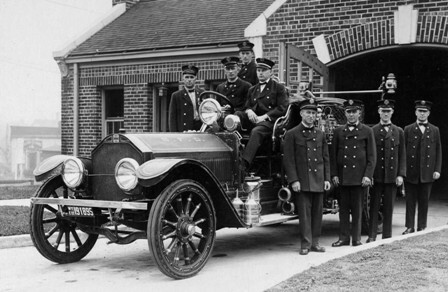 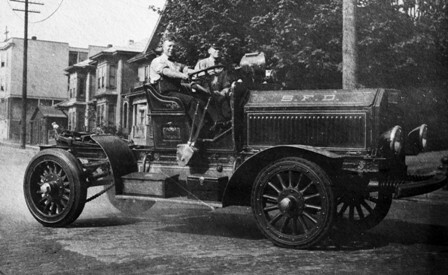 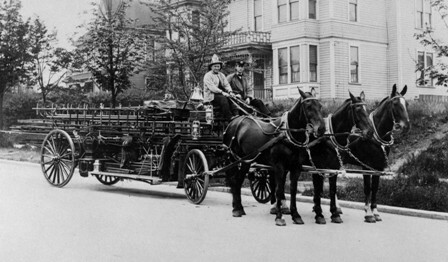 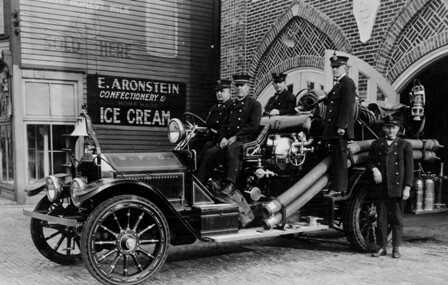 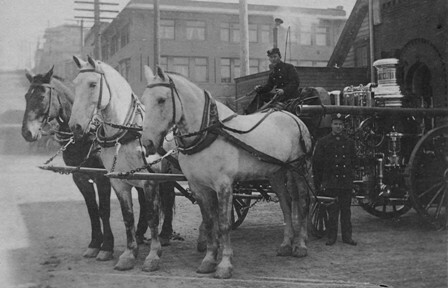 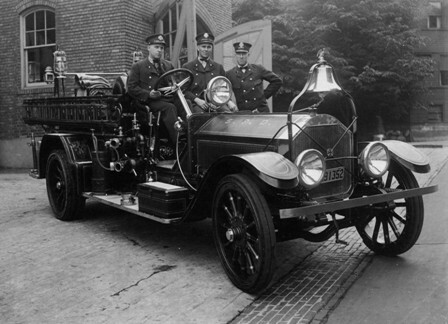 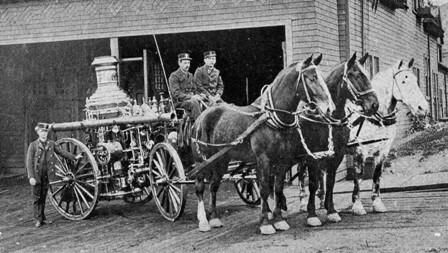 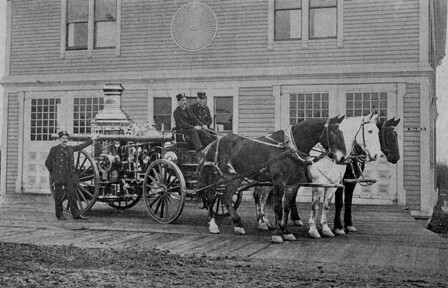 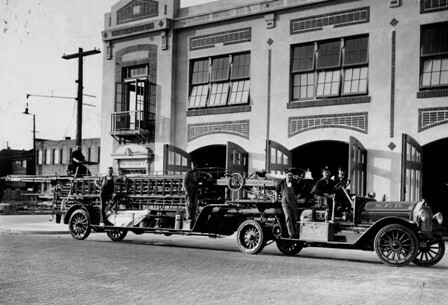 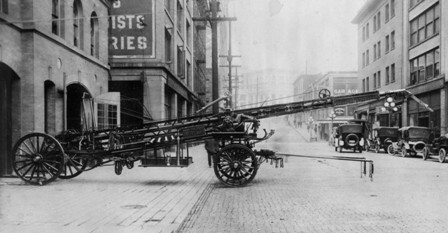 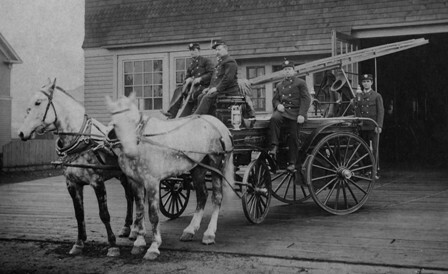 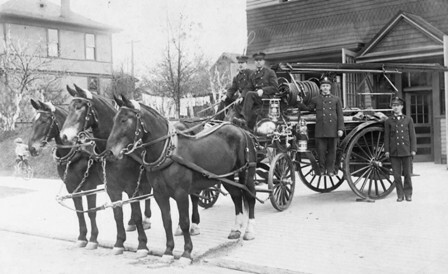 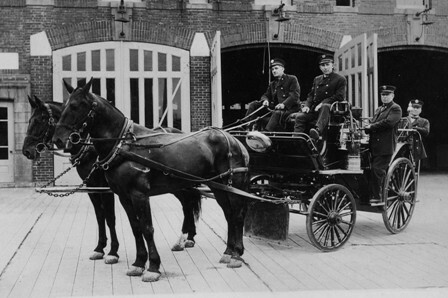 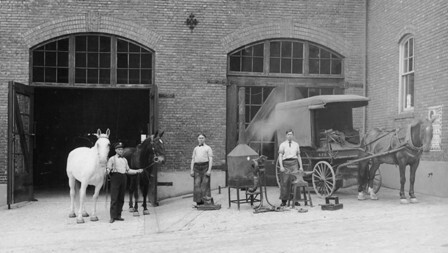 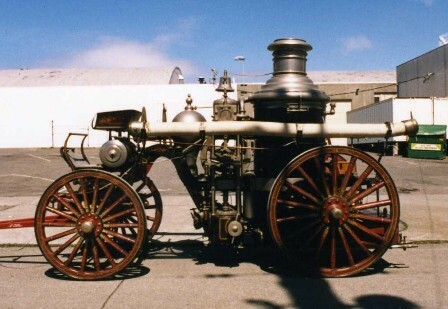 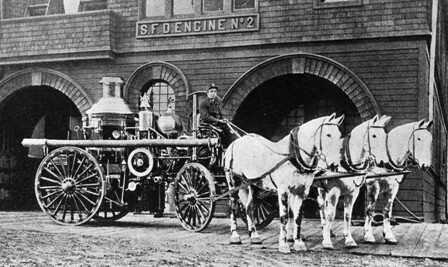 The last SFD horse-drawn hose wagons were replaced with motorized apparatus in 1924. 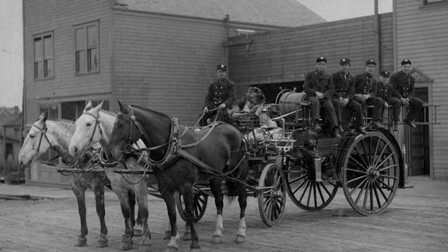 Many of the photos in our possession primarily show the horses and the crews, oftentimes obscuring the wagons themselves. 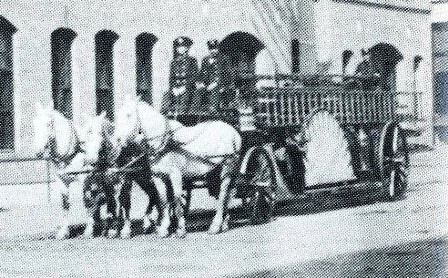 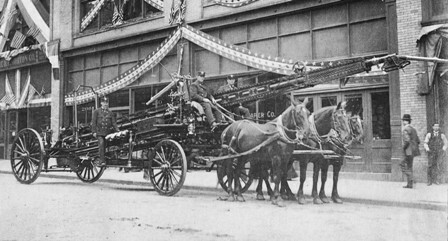 Consequently, we have chosen to show a sampling of some of the various types of hose wagons used by the SFD, with no specific information except the "company" where the rig was assigned when the photo was taken, and the date of the photo, if known. 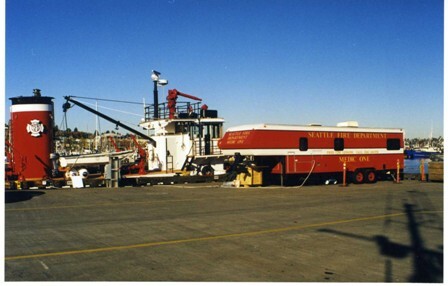 For rigs that underwent major modifications, such as complete rebuilds, adding a cab, converting from elevated platform to an aerial, addition of a crew-cab, etc., we will try to show both configurations. 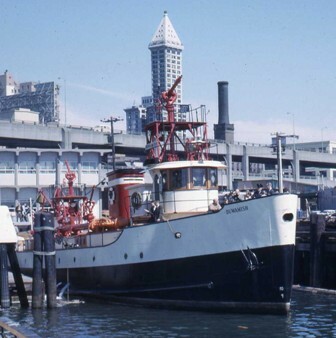 The notation "presumed scrapped" is based on our knowledge of the person or company that purchased the rig when it was sold by the city, and their presumed intention for the rig's future use (scrap metal dealer, etc.) 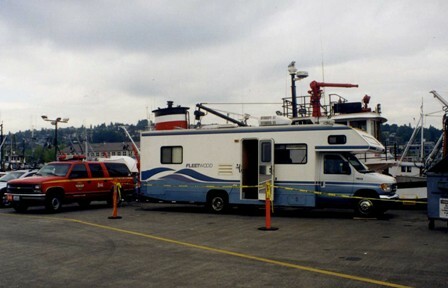 If we know the rig was scrapped, it will be so noted. 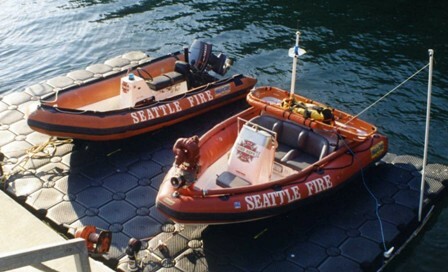 "Snoqualmie" ~ "Duwamish" ~ "Alki" ~ "Chief Seattle" ~ "Leschi"
Amphibious Rescue Craft ~ Patrol Boat "Leschi"
This aerial photo, taken over Seattle's Elliott Bay, clearly illustrates the "firepower" of two of Seattle's fireboats, the "Duwamish" and the "Alki". 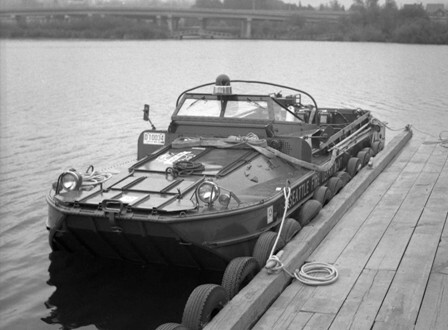 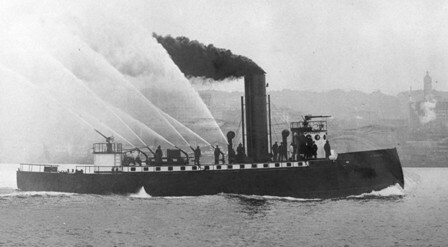 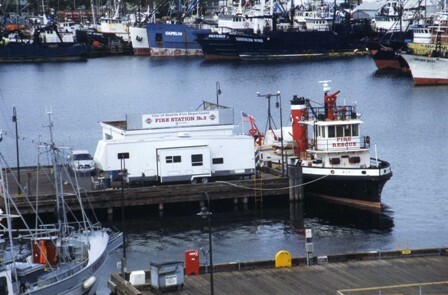 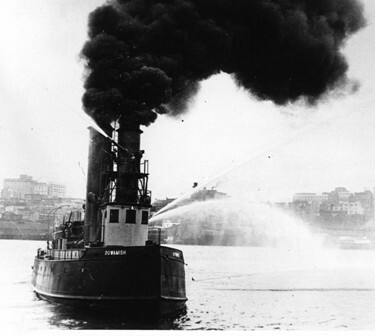 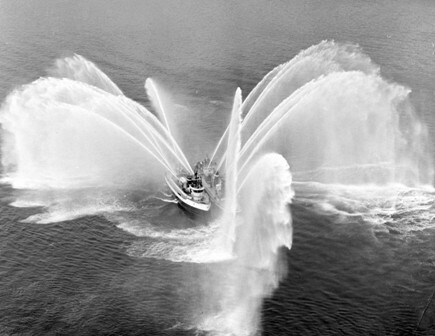 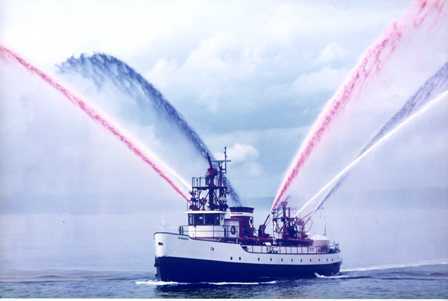 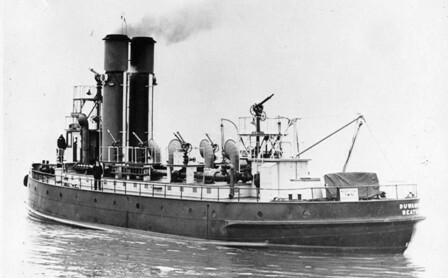 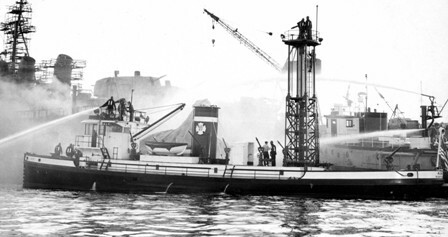 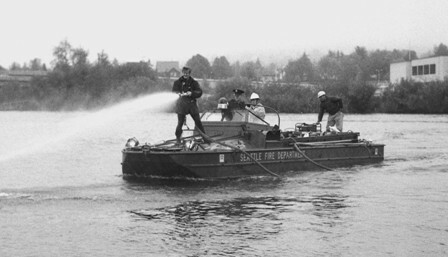 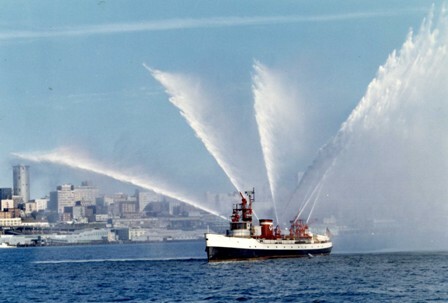 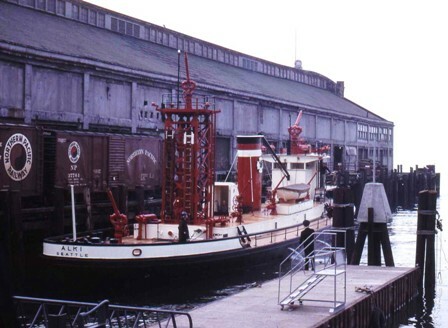 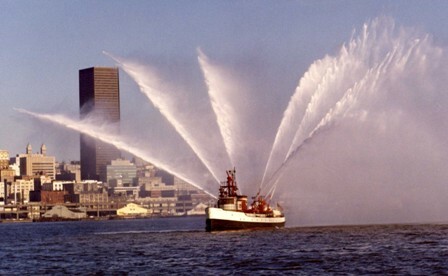 For many years, the "Duwamish" was considered the world's most powerful fireboat, able to pump 22,800 gallons-per-minute. 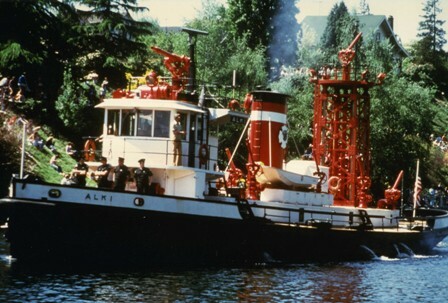 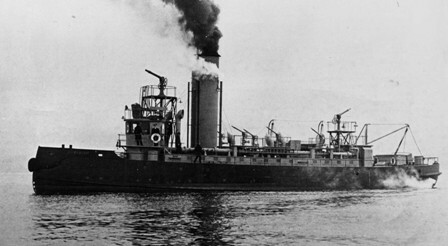 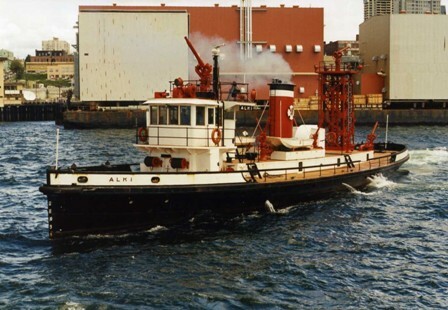 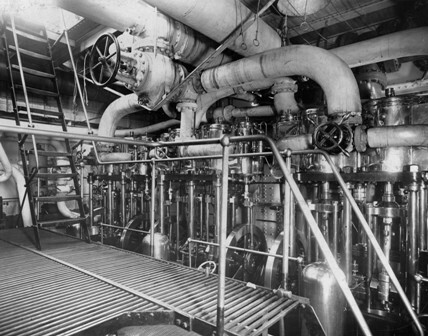 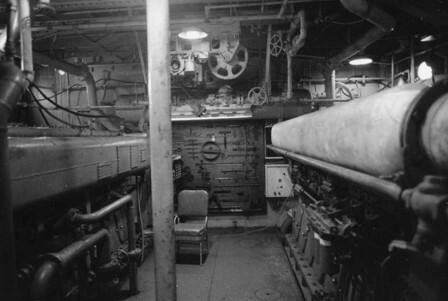 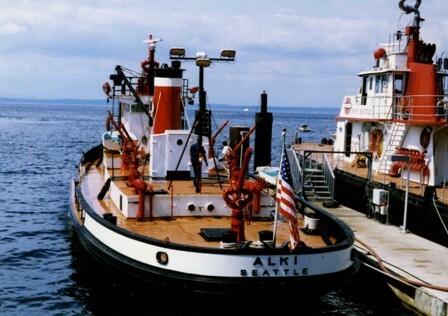 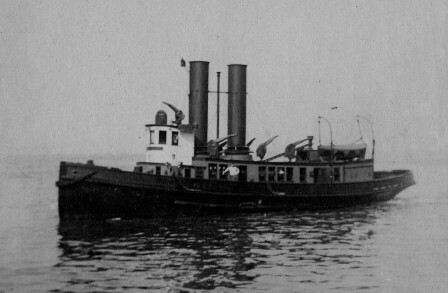 The "Alki" ranked third, with a pumping capacity of 16,200 gallons-per-minute. 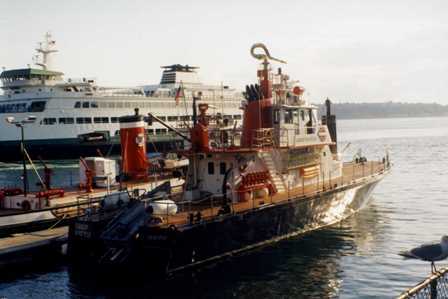 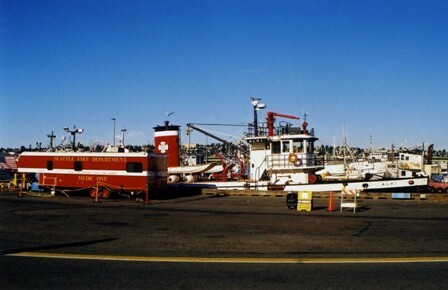 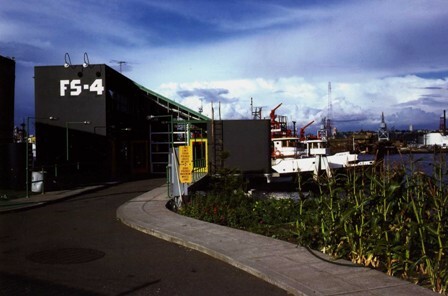 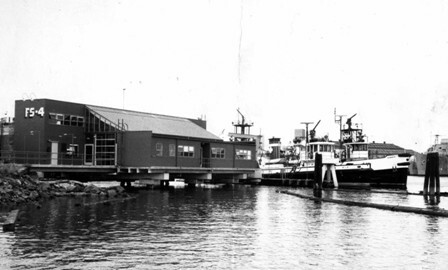 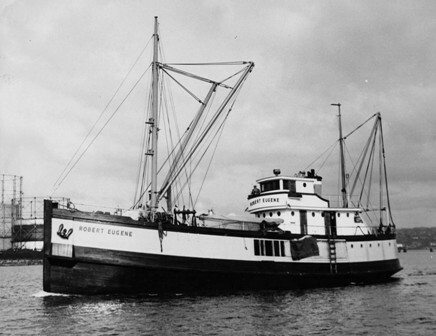 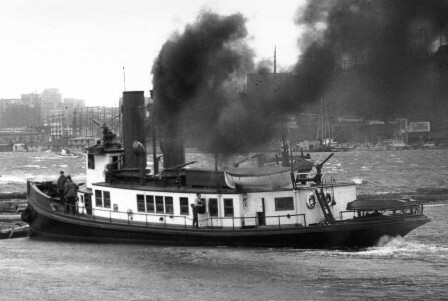 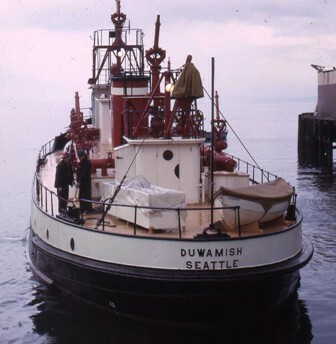 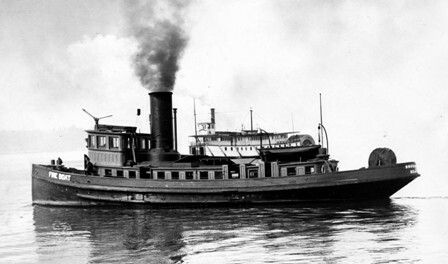 The "Duwamish" was replaced in 1984, and sold to a local preservation group in 1994. 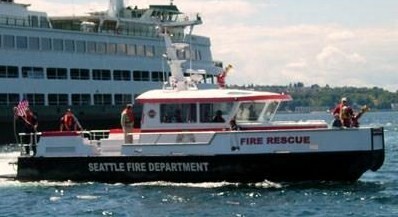 The "Alki" is still "in service" in 2008, but is due to be replaced in the near future. 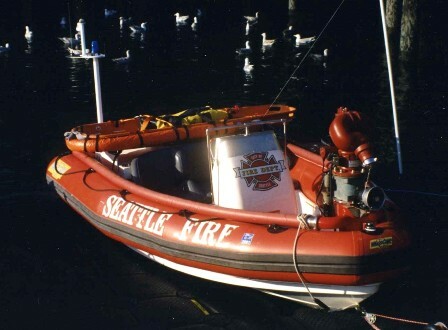 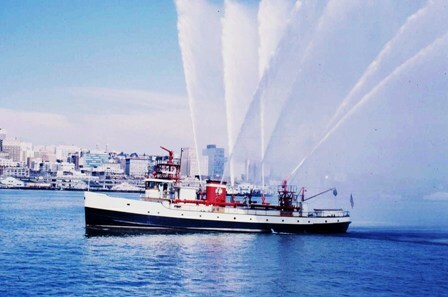 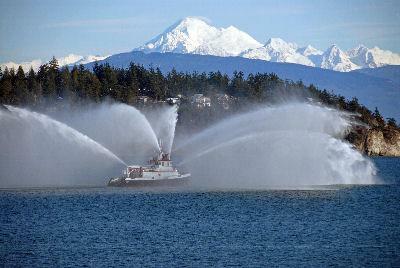 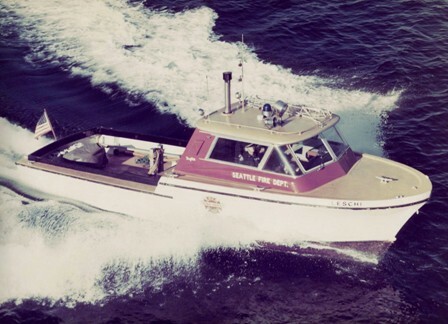 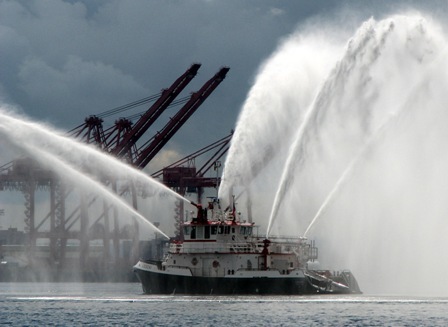 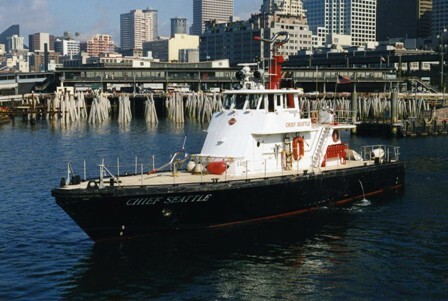 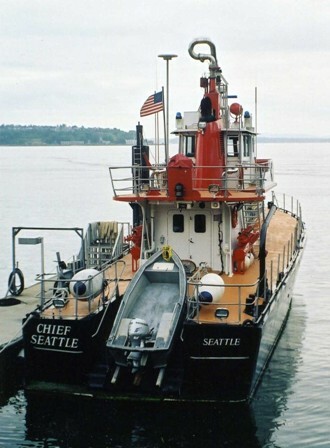 Seattle's newest fireboat, the "Leschi", placed in service in 2007, has a pumping capacity of 20,000 gallons-per-minute. 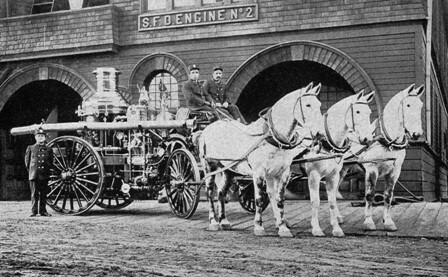 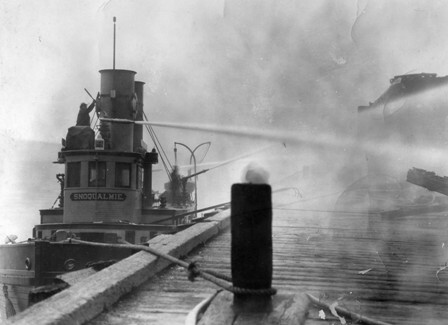 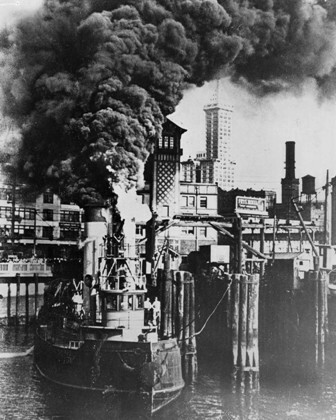 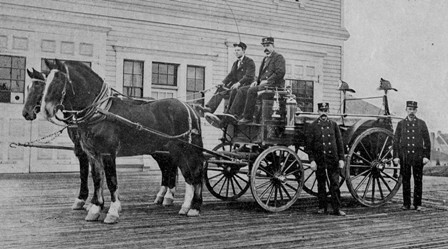 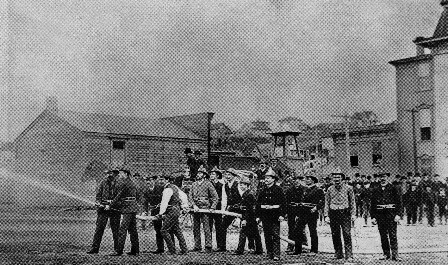 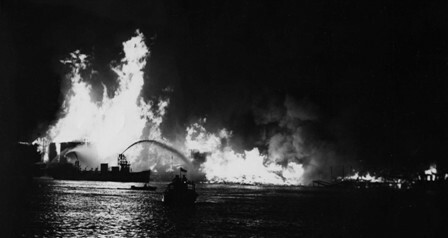 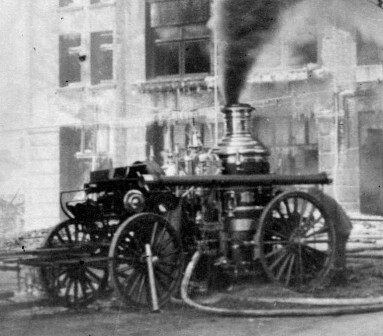 Before the ashes of the Great Seattle Fire of June 6, 1889 had cooled, plans were in the works to create a "paid" fire department, upgrade the water system, build several new stations, purchase new equipment, AND design and build a fireboat to protect Seattle's waterfront. 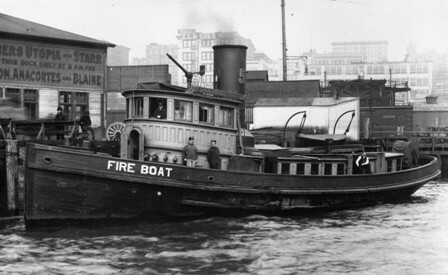 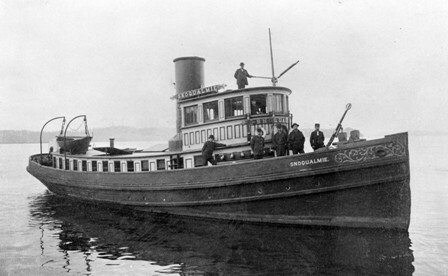 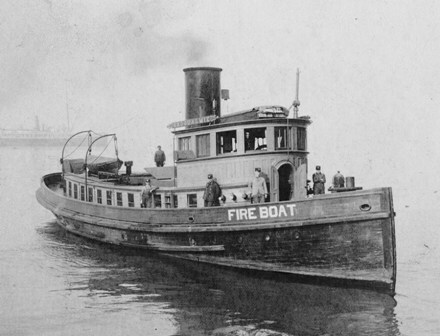 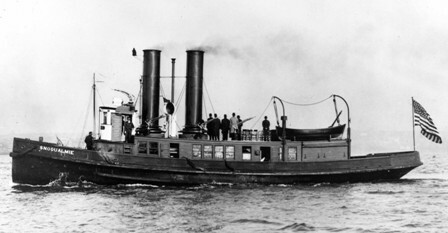 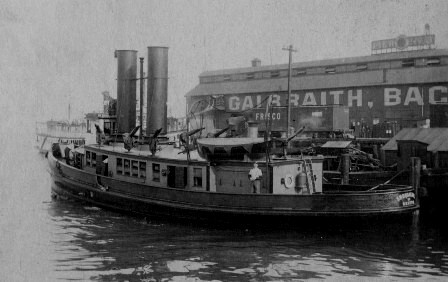 When the steam-powered fireboat "Snoqualmie" went into service January 3rd, 1891, it was the first and only fireboat on the West Coast. 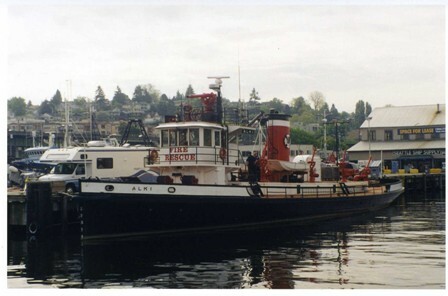 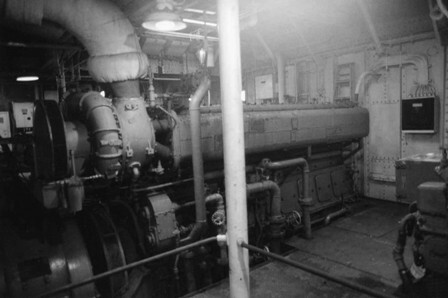 Converted to freighter & name changed to "Robert Eugene"
Engine Room of Fireboat "Duwamish"
Three-alarm fire at Seattle Cedar Lumber Mfg. 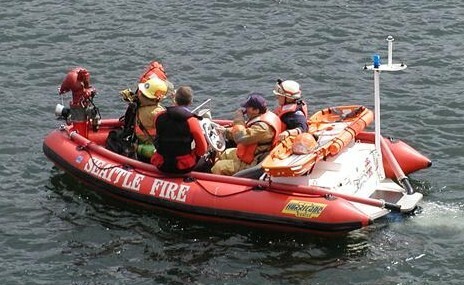 Co.
Acquired from Inflatable Boatworks, Inc.